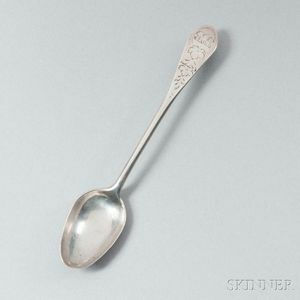 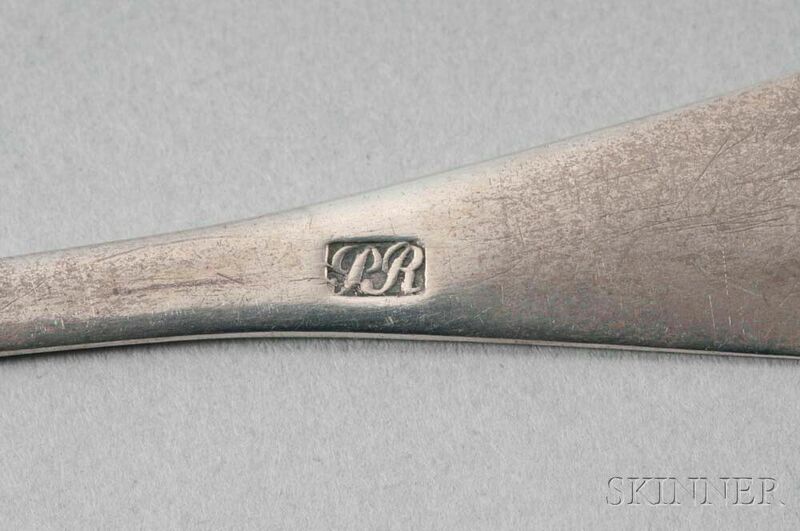 Silver Teaspoon, Paul Revere, Jr., Boston, Massachusetts, late 18th century, the handle with floral engraving and "PJP" monogram, the back of the handle stamped "PR" in sunken cartouche (Kane mark G), (wear), approx. 0.38 troy oz., lg. 5 in.